When it comes to Yelfris Valdés and his countless music projects, you can be sure of two things: their quality and ability to surprise you. No matter whether they are more Latin, Afro-Cuban, electronic, traditional, jazz-oriented, or just fundamentally expressing their author – like the upcoming debut EP titled The World of Eshu Dina – every time his trumpet peeks out or grabs the spotlight and the outcome will blow you away. It is not hard to understand that Yelfris is a natural. His life has always been his trumpet, and vice versa. Since the first time he left Cuba (as a member of Sierra Maestra when he was 16 years old), he has never stopped playing. So much so that, even if we try, we are not able to recall all of the music adventures he has embarked on (and he’s not even 35). A few months ago, we had an engaging chat with Yelfris. The reason behind it was Ariwo (one of his dearest projects), but our conversation inevitably went off on a tangent, starting from his first musical steps until his upcoming show at Total Refreshment Centre on the 1st of March. “I am a classically-trained musician and, because of that, I developed my skills to a very high standard. At the same time, my classical training introduced me to jazz and to improvisation, which is quintessential in Cuban music. In that way the European bug inserted itself into his mind. “Since I started coming to Europe with Sierra Maestra, I constantly shared the stage with iconic musicians playing different genres like jazz or rock – that was the moment when I started wondering, ‘okay, I want to move there one day!’ Then I began writing the arrangements for Sierra Maestra and I eventually ended up writing my own compositions. It was love at first sight because I discovered that I simply love to compose, and I reckon that that was the beginning of it all. Since Yelfris moved to London, his music has shaped and enriched hundreds of compositions and dozens of projects. However, believe it or not, he is also able to say ‘no’. With so many music experiences on his shoulders, we tried to understand if there was any one that was more meaningful than the others. Until a few months ago, Yelfris was also one of the ‘shareholders’ of another relevant London-based band called Ariwo. 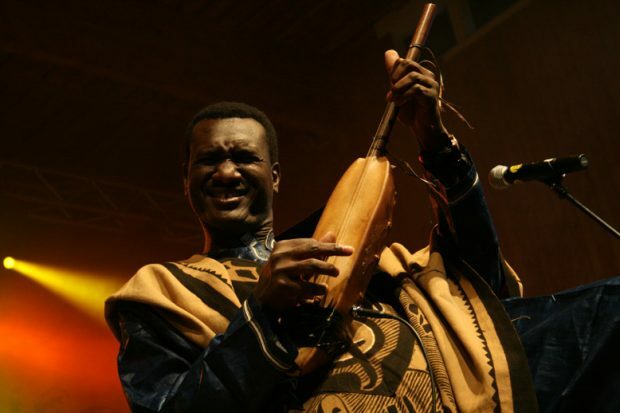 “Ariwo has been quite an important project to me because you have so many different traditions and sounds harmonised together. You have the Iranian tradition (represented by Pouya Ehsaei) mixed with the Cuban one (next to Yelfris, you have Oreste Noda and Hammadi Valdes) and you have traditional and electronic sounds together. From the very beginning, the bandleader (Pouya) started bringing in his music perspective, which is related to electronica. He created the base without the Afro-Cuban elements. Once we met, he played us what he did and Hammadi started improvising on it with the congas. Little by little, we added our tradition to it: Cuban 6/8 rhythms, melodies, Yoruba chanting and all that. It was beautiful because everything was coming out so naturally. We were open to each other, and to what everybody was bringing to the table. Despite his influences being as wide as from India to South America, Yelfris still keeps Cuba and its culture really close to his heart. “I will always keep my country in my heart because of its culture and tradition. My roots are in Cuba, and that is reflected in the way I make music and the way I behave. I try to go back to Cuba every four months because my parents live there. Cuban music always surprises me. Once you are there, you can see that there is an alternative scene hidden inside the official one. 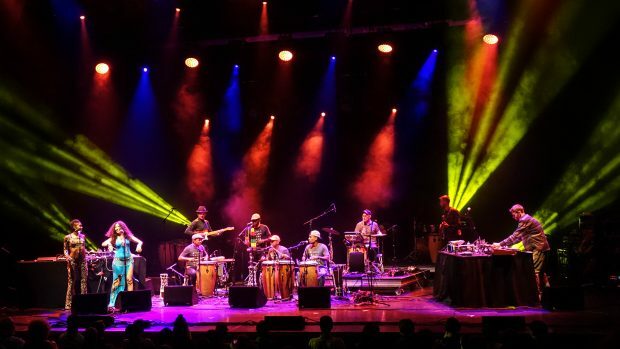 What people mostly know about Cuba is Buena Vista Social Club, but there is a new wave of Cuban music, which is something that goes on underground. I mainly refer to electronic music, hip-hop, and jazz music too. With so much hustle and bustle going on between collaborations, sharing and participation, it was almost a miracle that Yelfris found some spare time for himself, but it has finally happened and The World of Eshu Dina, the first work going down with his name on it, is on the launching pad. “At the moment, I am fully immersed in my personal project. Which is, well, I think it is going to be really nice. I mean, I worked on lots of ideas and with really serious people, you know, really kind of music ‘nerd’ guys. That is why I also had to quit Ariwo. I still have good relations with the guys, but I wanted to entirely dedicate myself to my music. I would say that the idea of the project is deeply rooted in my religion. That is why the album is called Eshu Dina, because that is my Yoruba name, my alter ego. It indicates the path-opener and messenger of God. I wanted to gather together all of the music and life experiences that I have had during my trips in all of the places I have been. I wanted to include sounds from Africa (Morocco, for example), electronica and Afro-Cuban elements coming from my tradition. In my music, you can hear Cuban music, but also Indian, West African and Arabic music. The World of Eshu Dina is indeed quite a personal project reflecting Yelfris, his life, influences and, inevitably, musicianship. On Thursday the 1st of March, Yelfris Valdés will finally introduce his debut EP in Hackney. It goes without saying that you should not miss the album launch at any cost. “On Thursday, when I present my album at Total Refreshment Centre, there will be two new musicians playing with me on stage. There will be Mikele Montolli, who is a bass player and Jamie Murray on drums, while Nathan Britton will be playing the keys. I can also tell you that there will be a special guest, Joe Armon-Jones, who released an incredible album last year. Then there will be also DJs like Tim Garcia and Miguel Estevez from Tuckshop. Daily Discovery: Mavis Staples - "If All I Was Was Black"